Learn everything about Senmotic barefoot shoes in one minute. are made to order by hand, with full legal return and replacement rights. The Demanns, therapists and developers of these healthy shoes, are always available for you. As the market leader for hand-made barefoot shoes from Germany, we give you a 24-month guarantee. We have been making healthy shoes from fine leather at Germany’s first barefoot shoe workshop since 2010. The workshop is located near Leipzig. This is our contribution to the German economy. We even buy all our inputs from Germany – from the lace loops to the leather, even the laces. When we say 100% hand-made in Germany, we mean it! 8 colleagues produce our skillfully crafted leather barefoot shoes at the workshop. More than 80% of each shoe is made by hand. The production order only goes to the workshop after you pay the shoes at our online shop. So you’re buying barefoot shoes made exclusively for you, not off the shelf. Still, you enjoy the full legal right of withdrawal and we gladly accept your returns and will even send you a different size upon request. A zero-drop heel is absolutely essential for barefoot shoes. So your feet stand completely level on the ground. Your forefoot has room. Your toes are spread out like sunrays. At least 80% of each Senmotic barefoot shoe is made by hand. We use very traditional methods to make our barefoot shoes at the workshop. This exclusive hand-crafting needs much time and experienced workers. Our designers and modelers draw the first drafts for new barefoot shoes on paper. Other manufacturers draft their shoes on a computer, plot the templates at the press of a button and use automated sewing machines. We have real people with real expertise working on each production step. We use older sewing machines and punching blades to punch out the leather. This extra effort produces superior barefoot shoes. All people at our workshop have been working in shoe production for decades. Although our workshop employs expensive manual labor, we can regularly put barefoot shoes on sale at competitive prices, saving you up to 50%, on average. 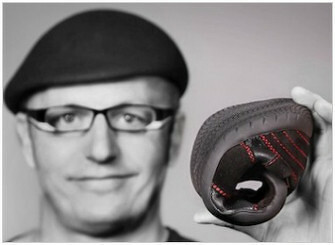 Senmotic barefoot shoes (“Senmotic” means “senso-motoric”) were developed by therapists Frank and Sindy Demann. They focused on anatomic and physiological requirements for healthy shoes. These specialist for biomechanics and with long experience as therapists were basically predestined to develop healthy barefoot shoes. As therapists, they knew that the shoes had to let you walk naturally and like barefoot to reproduce the healthy effects of barefoot walking. 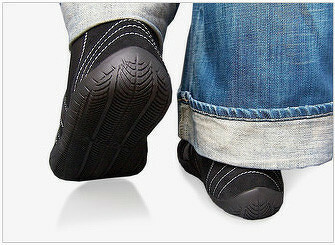 In a one-year research project in cooperation with specialists, they developed Senmotic barefoot shoes at the workshop. Healthy and stylish shoes for an ideal imitation of the original barefoot walk and for a natural gait.  At our shop we offer you barefoot shoes as sporty lace-ups or as running shoes. For ladies, we offer ballerinas. We recommend our Classic series for starters, for example the test winner Evolution F1 black/black in all-black leather. The barefoot shoes of the Premium series are more intricately crafted and features exclusive details. Customers often choose the Oxid model from this series. Our shop offers both models on sale several times a year. 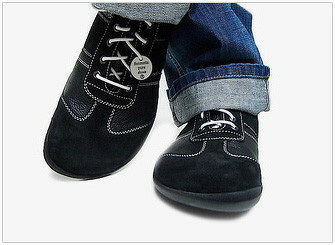 We offer ballerina barefoot shoes especially for ladies, for which we use ultra-delicate Black Angus leather. You can choose between the purist Allegra model and the Benita, with a little fastening strap. These ballerinas are genuine barefoot shoes, yet perfect for opera or theater visits. For year-round barefoot walking, we offer the “Storm” model for winter. This barefoot shoe is lined with lamb wool and is also worn in snow and ice. With an innovation lead of 4 years, our workshop was the first manufacturer worldwide to replace the outsole of barefoot shoes. Although our 2.9 mm soles set standards for our competitors and last longer than any other, we found out how to double the lifetime of Senmotic barefoot shoes. We developed a special procedure at our workshop to strip and replace the worn-off sole. In addition, we do up the leather and add a new insole and new laces to your barefoot shoes. Learn more on our Service page. As market leader for hand-made barefoot shoes from Germany, we give you a 24-month guarantee on our shoes. We are very convinced of our materials and the manufacturing skills of our workshop staff. Therefore, we can assure you that our shoes will last 730 days, all around the clock. Of course, this also applies to barefoot shoes that you buy on sale. The guarantee excludes improper use or everyday wear, such as the sole rubbing off after a while. Our support team is always there for you and will gladly tell you more. Any questions about our barefoot shoes? Call us at +49 (0)700 88 65 43 21 (EUR 0.12 per minute from German landlines – mobile charges may vary). Our phone hours are Mondays to Thursdays from 10 AM to 12 PM and from 2 PM to 4.30 PM.